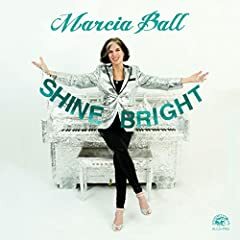 Marcia Ball (born March 20, 1949, Orange, Texas) is an American blues singer and pianist raised in Vinton, Louisiana. She was described in USA Today as "a sensation, saucy singer and superb pianist... where Texas stomp-rock and Louisiana blues-swamp meet." The Boston Globe described her music as "an irresistible celebratory blend of rollicking, two-fisted New Orleans piano, Louisiana swamp rock and smoldering Texas blues from a contemporary storyteller.